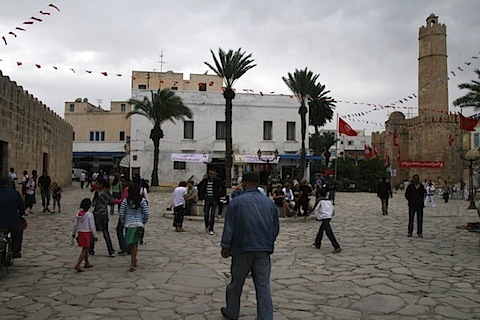 Most visitors to Tunisia will want to explore Sousse Medina with its historic buildings and traditional architecture. Sousse is in the north east of the country on the Bay of Hammamet, about 16 miles (24 km) north west of Monastir. It is a pleasant drive from Monastir along the coastal road (C92 then C82). It can also easily be reached by local bus; a local adventure and an eye-opener in its own right! From Hammamet it is a speedy journey down the main A1. The 45 mile journey (72km) takes less than an hour to drive. 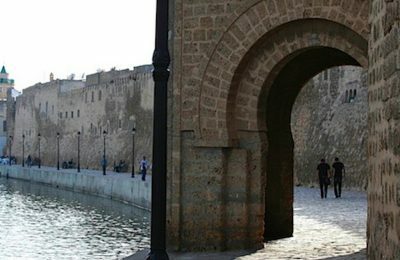 The old part of the town of Sousse is known as the Medina and it is easy to spot with its round towers and crenellated walls as you approach through the cobbled square. 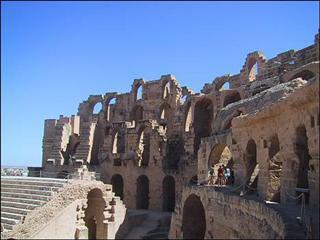 This is certainly one of the finest in Tunisia and it is clean and well kept. 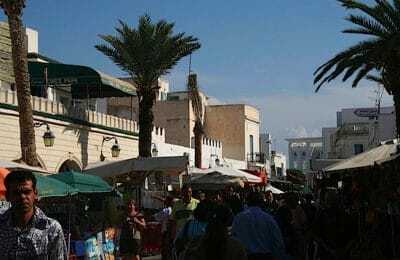 The area around the Sousse Medina is always busy with locals; an intriguing mix of old cobbled streets thronging, not with djellabas as in other North African cities, but with Levi jeans and trainers! 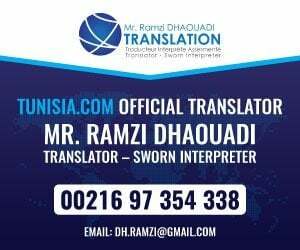 The palm trees, warm temperatures and Arabic script on notices confirm that you are in an exotic locale which adds to the feeling of adventure that any trip to Tunisia will conjure up. Exploring the rambling fortified monastery is a great experience and a local guide or guidebook will help you understand the various locations. Sousse medina was built of local stone which is a mellow pinky cream colour which is so much nicer than the ramshackle brick buildings from more modern times. Notice the thickness of the walls here, built to withstand a mighty attack from land or sea in the past. The courtyard is similar to many in Tunisian buildings elsewhere. Notice it slopes to a central drain. This means when there is a heavy shower, the precious rainwater is quickly captured in underground tanks and stored for later use. Around the courtyard is a beautiful arcade. Beneath the arches are small cells on three sides which were once home to the warrior monks who lived here and studied when not on active duty. They are about 3m square (10 feet) with high arched ceilings to make them feel airy and cool. Many of them still have niches in the wall which were used for storage. On the fourth side is the prayer hall. Non-Muslims cannot enter, but from the doorway you will see it is a very simple room. The stairs lead up to a broad walkway above the arcade and further cells can be seen. The walls here are around 2metres thick (over 6 feet). No wonder they are still standing! Further stairs will take you up onto the ramparts where there are great views over Sousse city and Sousse Medina. If you walk around and enter the room above the main gate you will see four slits in the floor. These were probably used to pour boiling oil down on unwelcome visitors. You can climb higher still up the worn stone steps in the circular watchtower for far-reaching views across the medina and the new town to the port beyond. The circular tower was used by the Germans in World War 2 to spot enemy aircraft. Easy to visit from Hammamet, Monastir and of course Sousse itself. Essential to visit if you love historic buildings. If your large or hate heights do not go to the top of the tower!